Welcome to Angels Around the Earth. 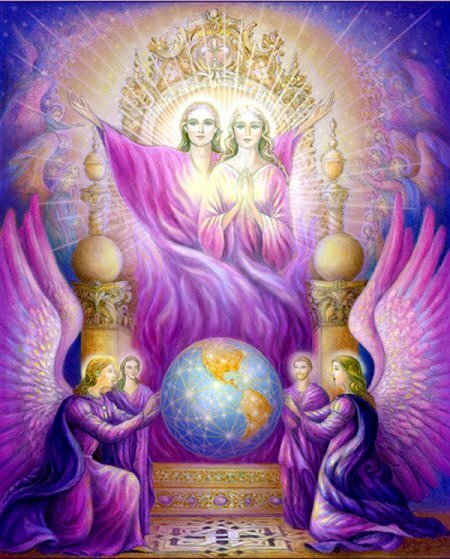 This website was created to help people worldwide learn about the Angels and the magic they can create in our lives. It is non-denominational and is designed for people of all faiths and backgrounds. Many years ago, the Angels revealed to me that they are indeed real and they love when we ask for their help. Several times, I asked them to verify their existence before I would profess a belief in them. And they did. They have brought tremendous joy and peace to my life and they can do the same for you. Angels are divine beings who serve as messengers from God. Their purpose is to fill our lives with love, offer guidance and protect us. All we have to do is ask for their assistance. Anyone can receive messages from the Angels. We just need to be open to receiving. No matter what we may be experiencing in our lives, the Angels are here to help. There are multitudes of them all around us at all times. No situation or crisis is too large or small for them. They do not judge us. Whether it be Guardian Angels, Archangels or the Nature Angels, commonly known as the Fairies, they have facilitated healing and transformation in the lives of countless individuals. As human beings, our hearts hunger for spiritual fulfillment, especially when life doesn't make sense. The Angels help to answer our questions and guide us to solutions. They serve as 24 hour a day problem solvers. They never leave us. God has given us these divine helpers to help us fulfill our life purpose. As we enter a new age, we are witnessing an incredible ascension of planet earth. The vibrational level is shifting to a much higher level, and as a result, many energetic clashes are occurring on a personal, community, national and global level. Now, more than ever, we need the guidance of God and His messengers to help us remain balanced and focused as we create Heaven on earth.